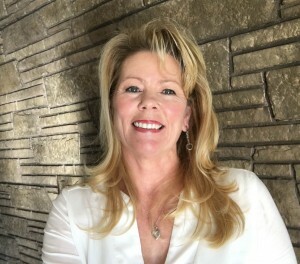 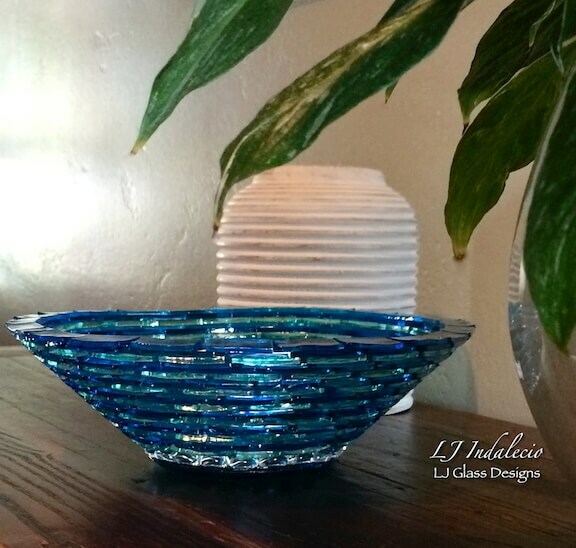 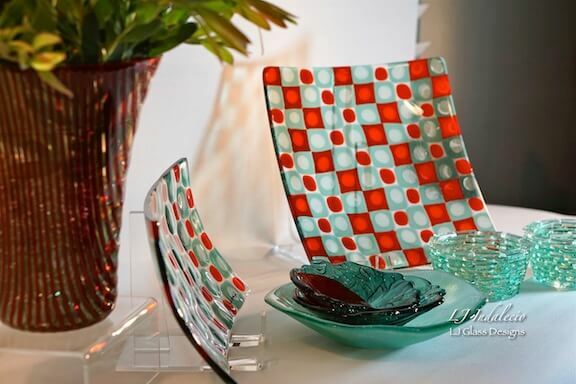 Linda grew up in San Diego with a passion for Art and a love for all things glass. 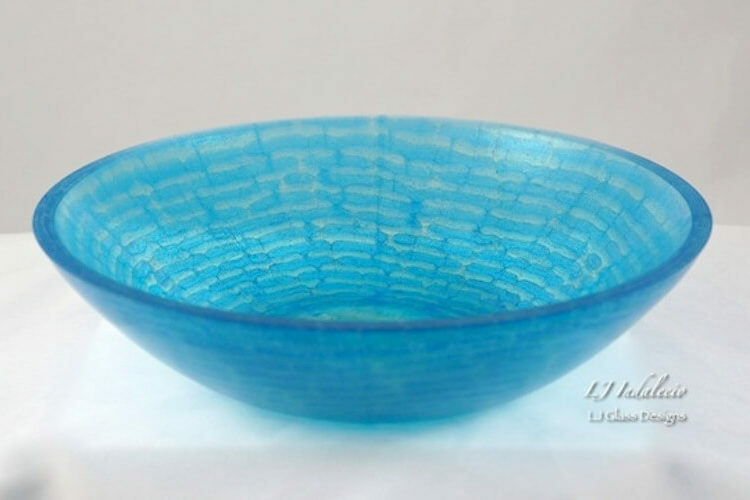 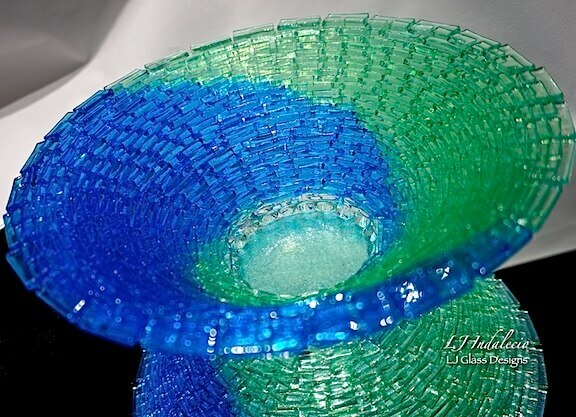 After leaving a career in Corporate America in late 2009, she began experimenting with recycled glass in a friend’s ceramic studio. 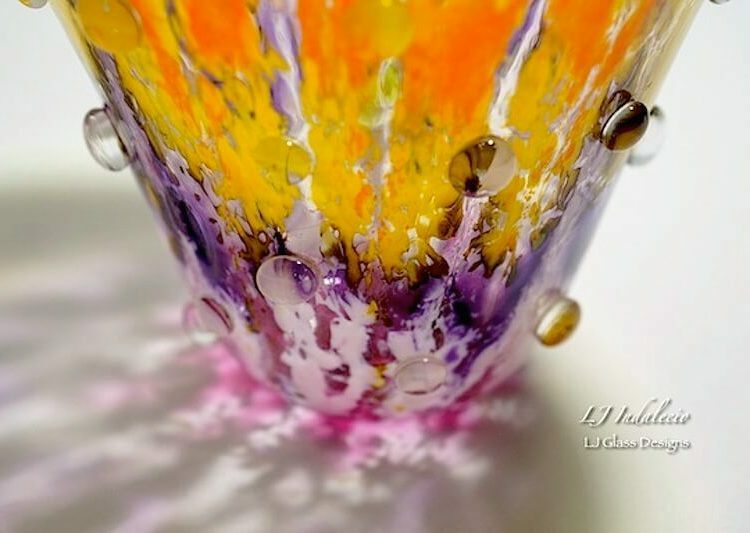 Where the Internet and experimentation became her teacher. 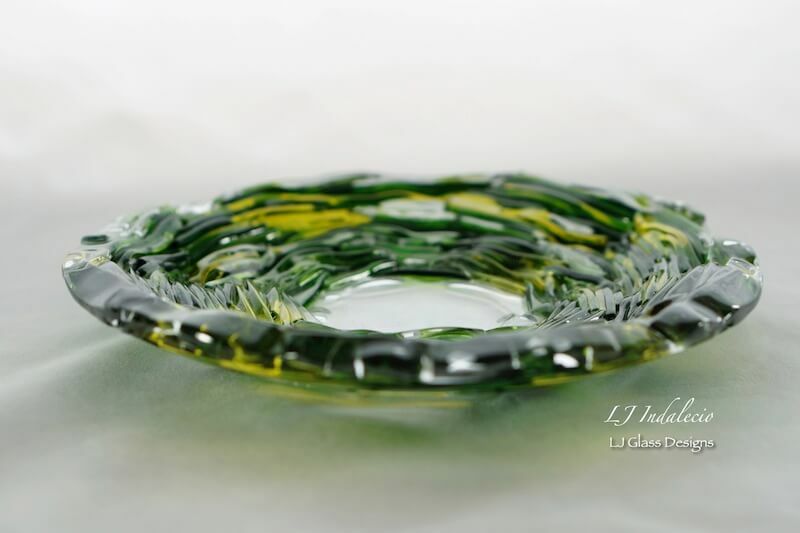 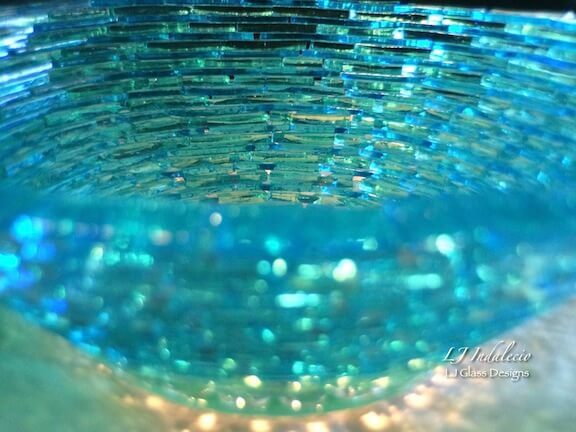 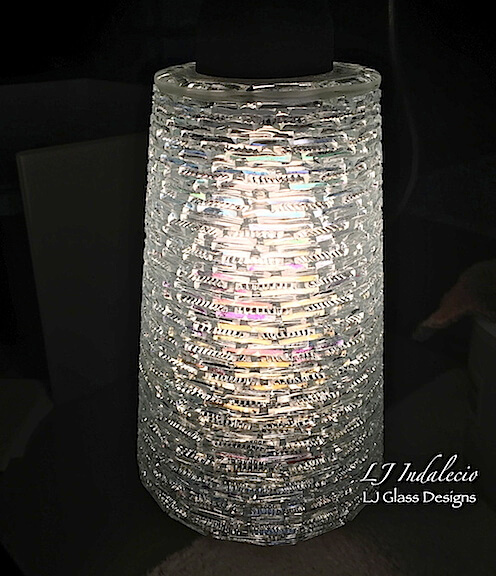 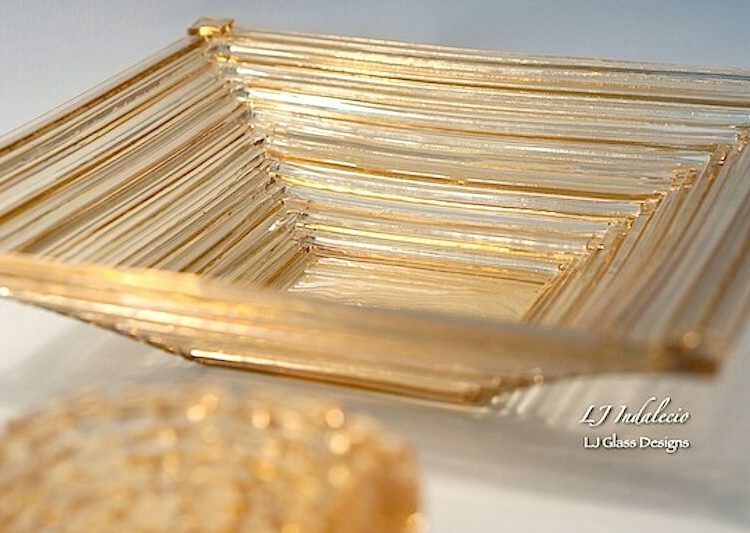 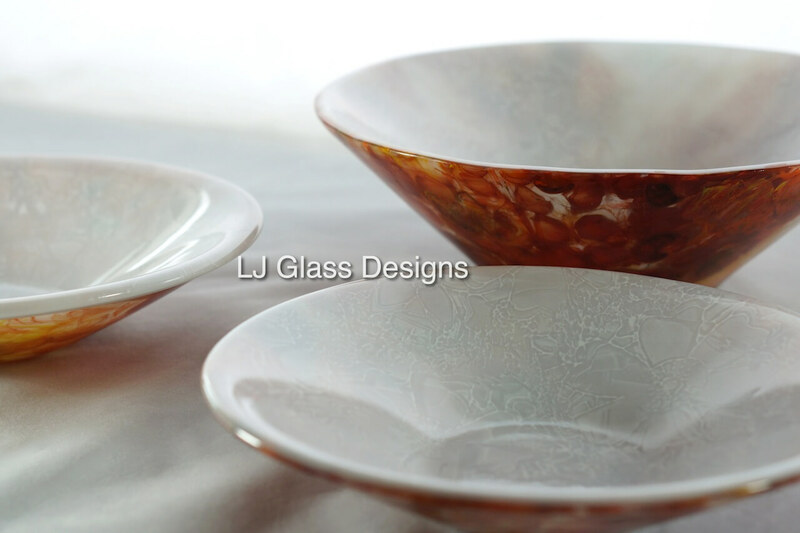 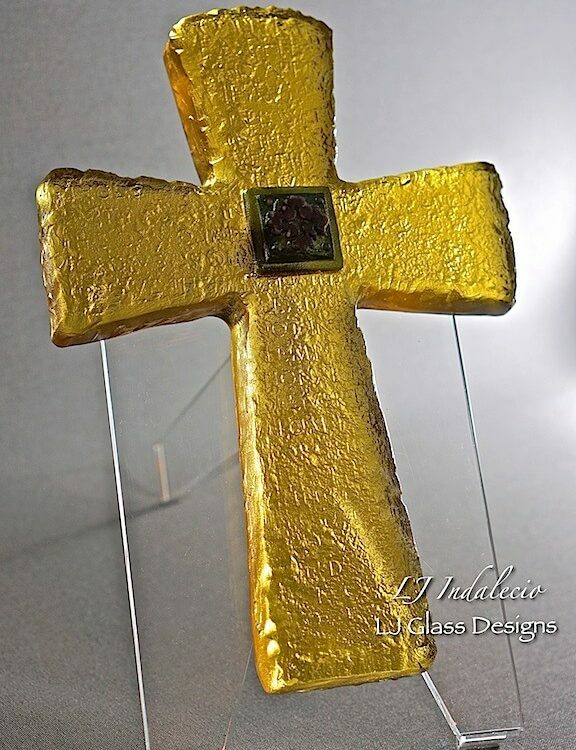 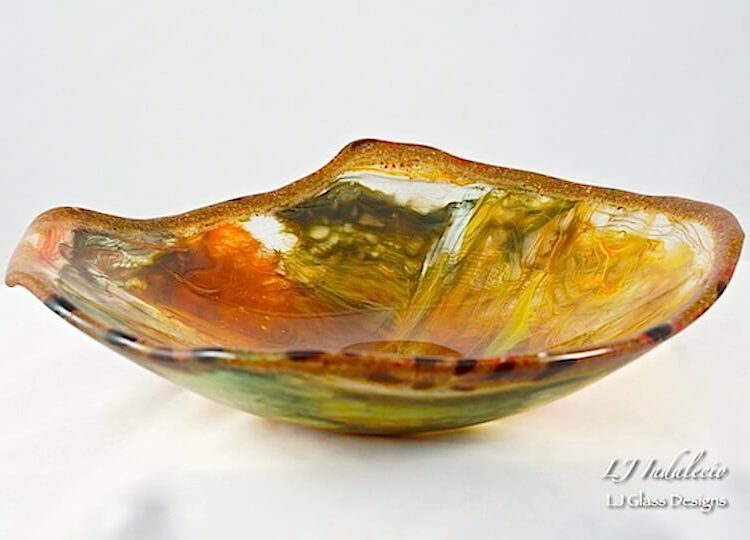 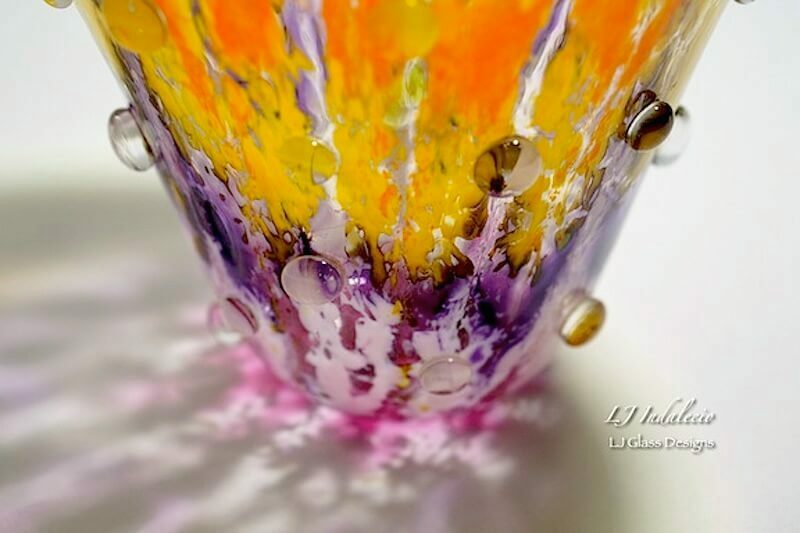 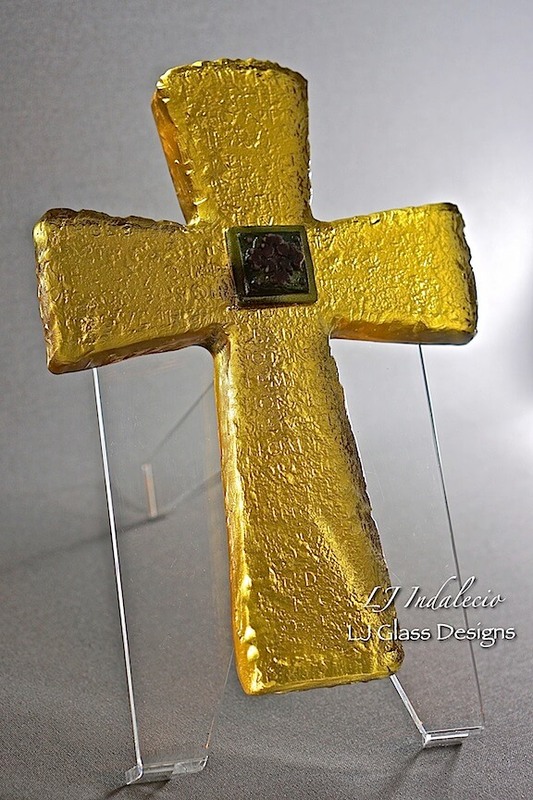 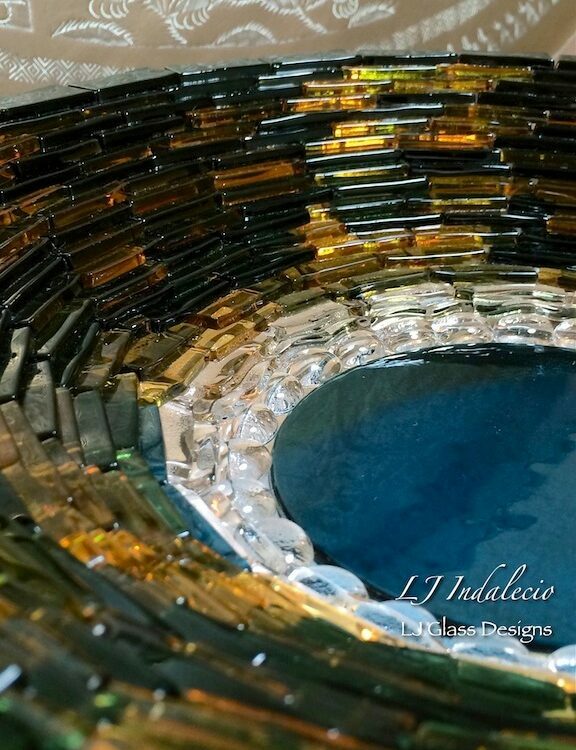 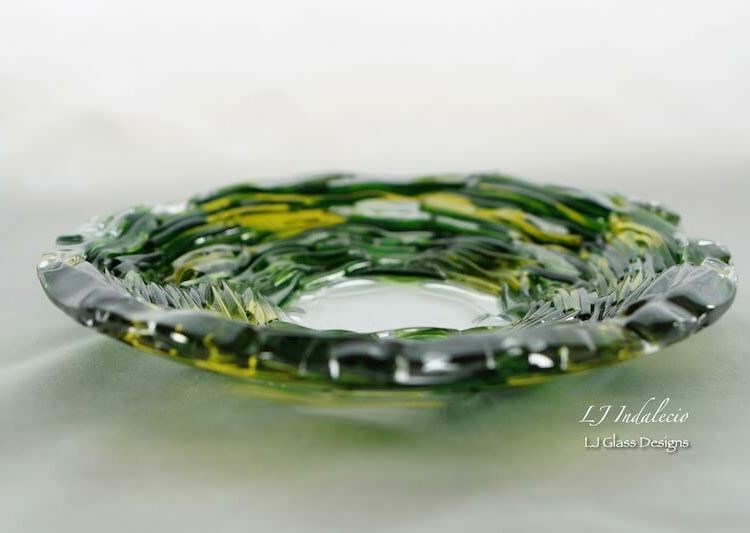 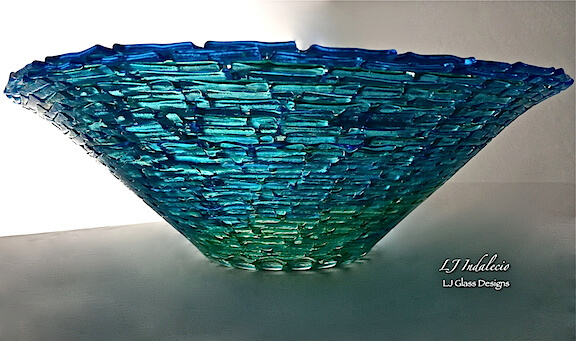 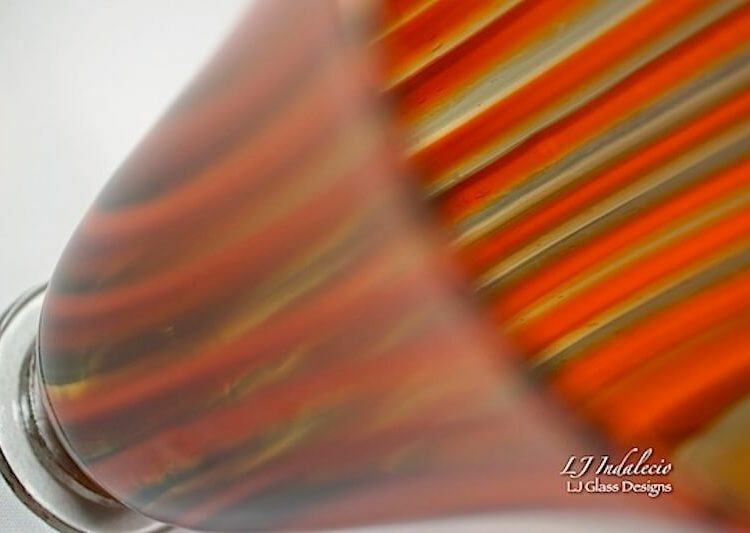 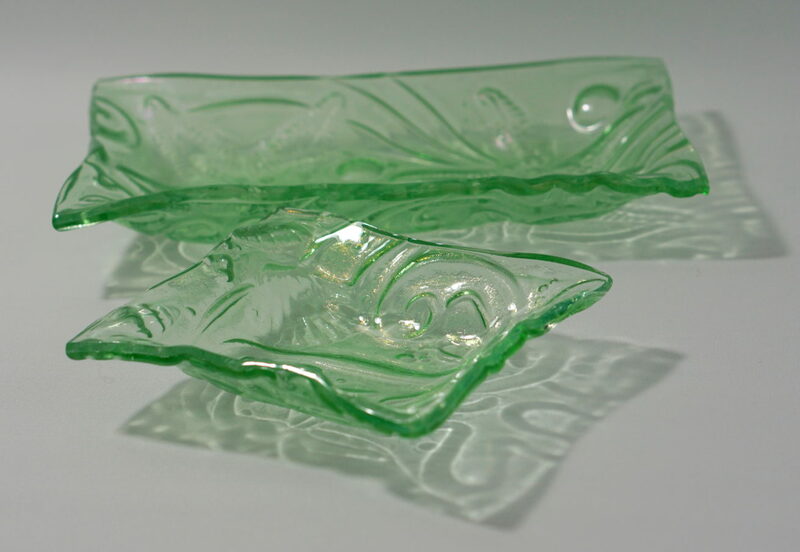 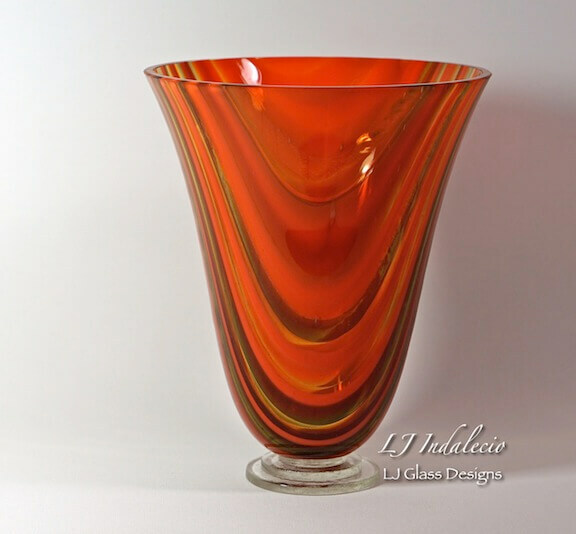 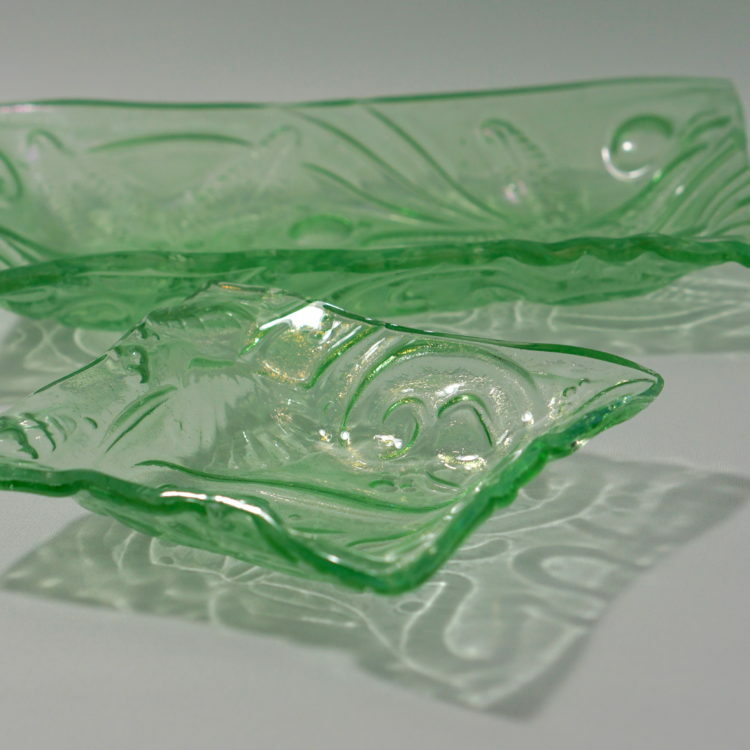 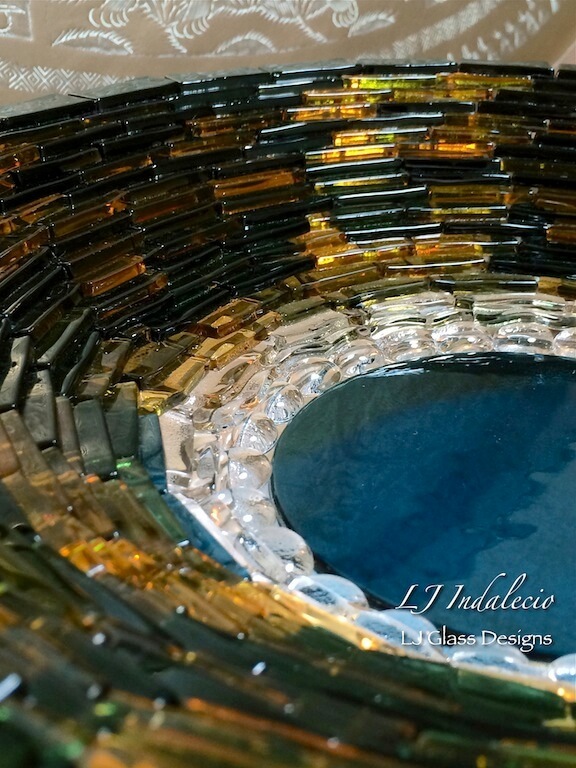 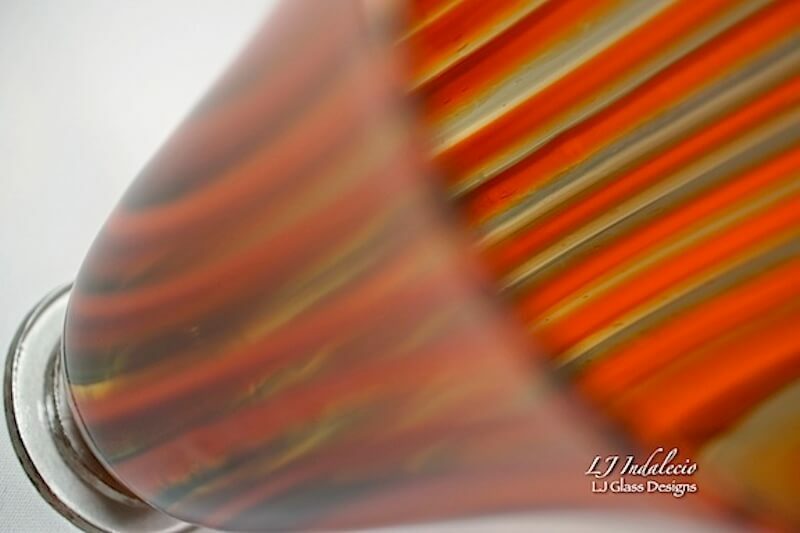 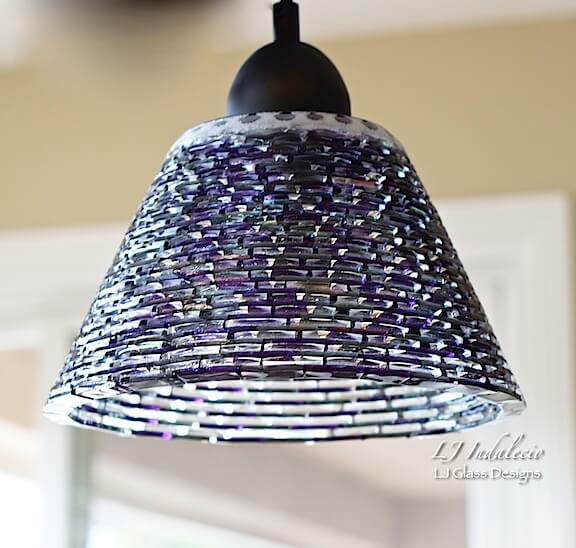 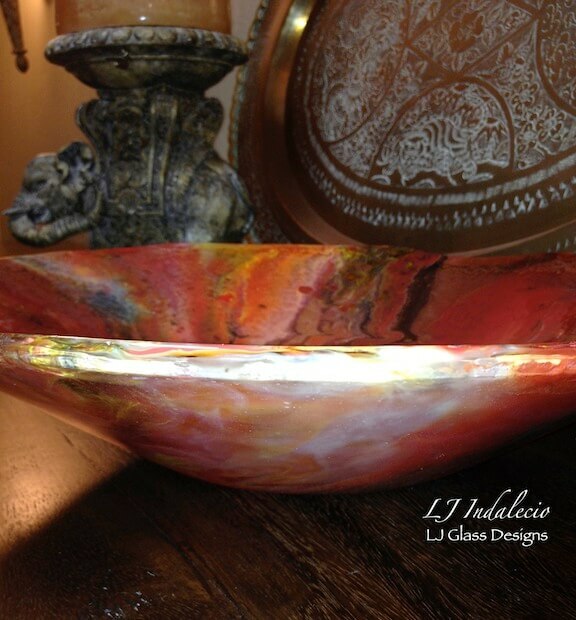 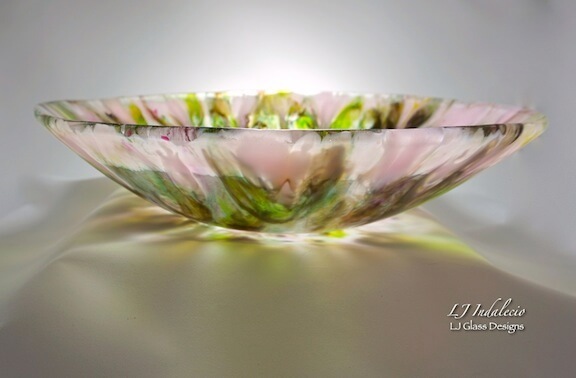 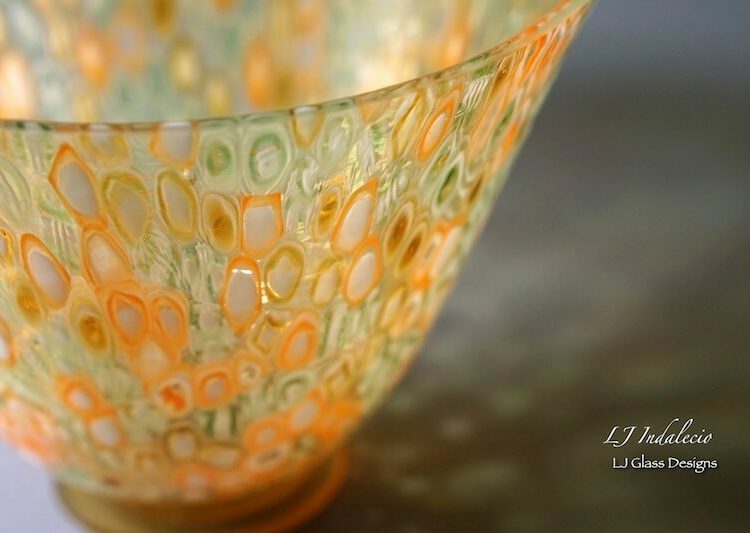 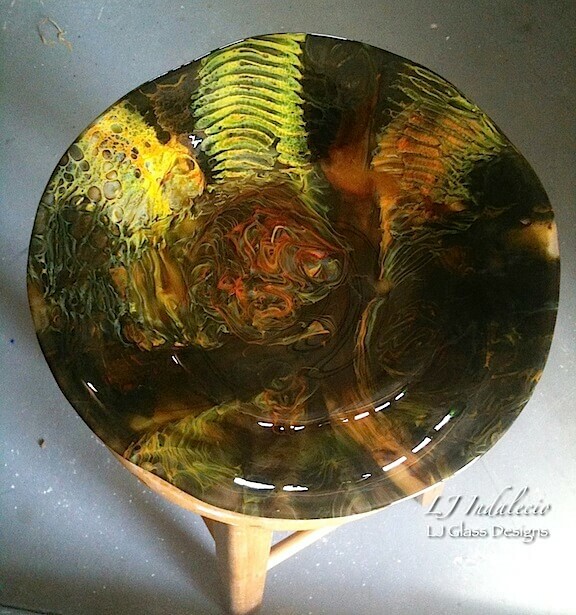 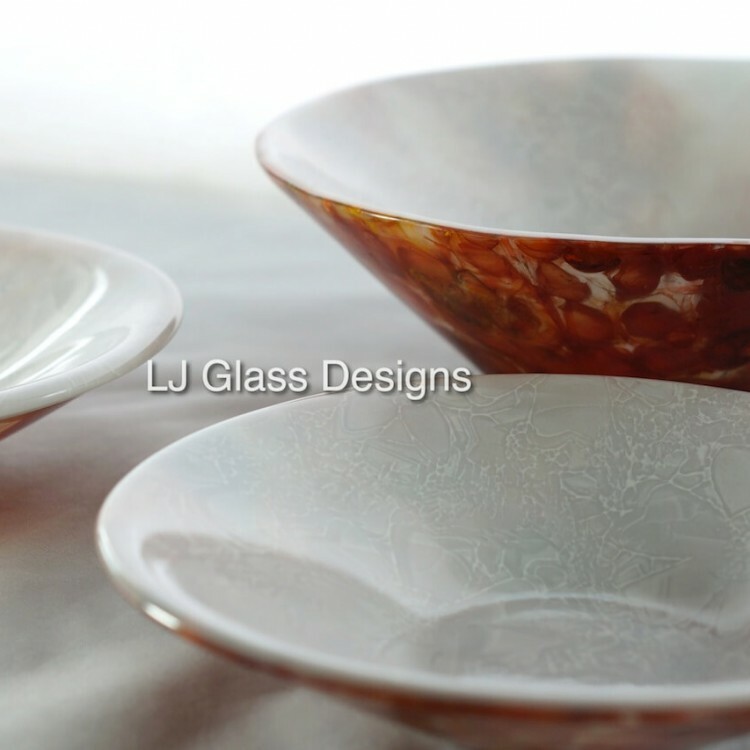 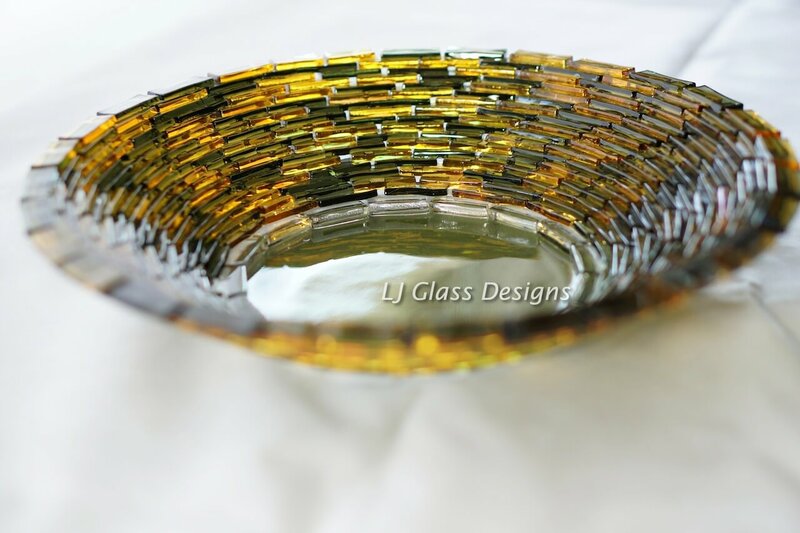 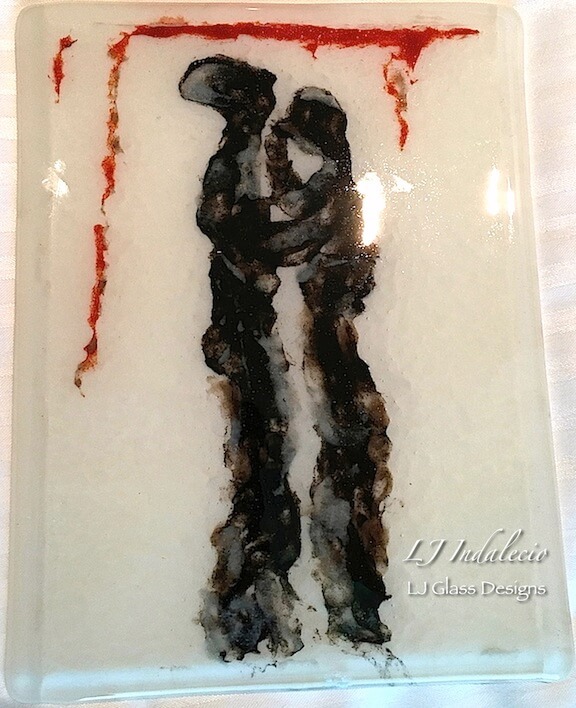 A couple years later she moved on to Art Glass and started her own Studio “LJ Glass Designs”. 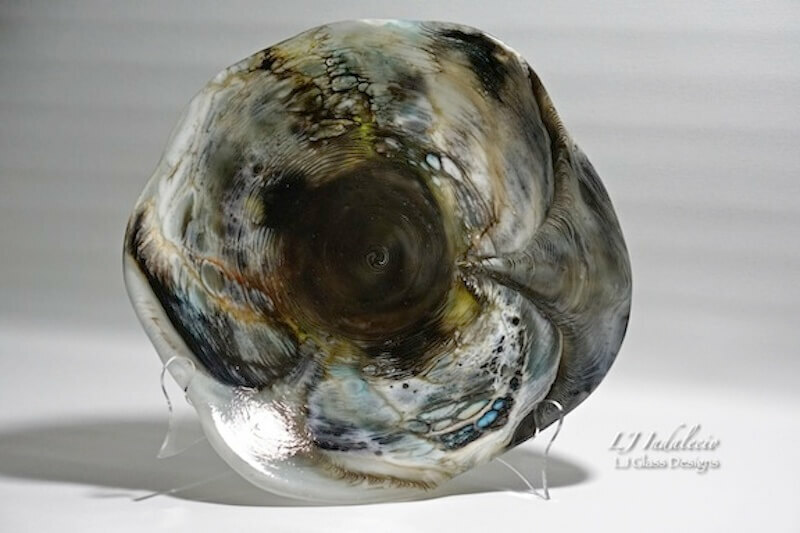 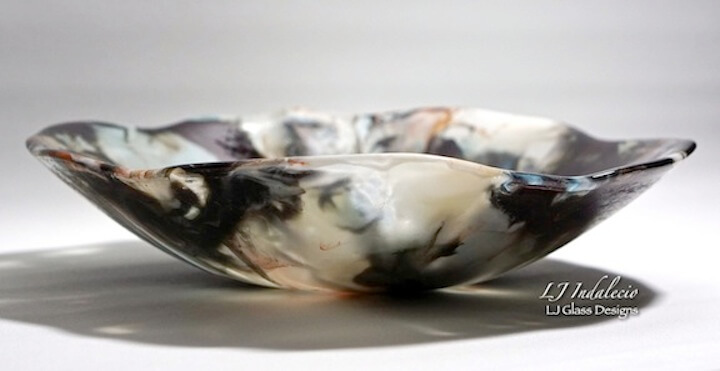 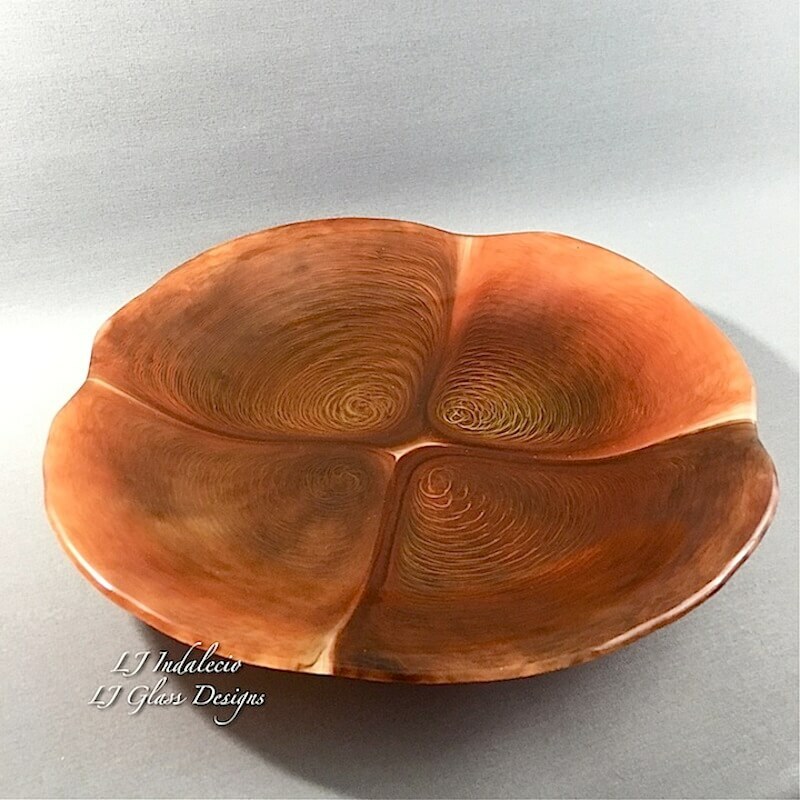 In 2014 she began showing and selling her work and has become recognized for the “Melt” and “Stacked” technics she often uses to create her bowls and vessels. 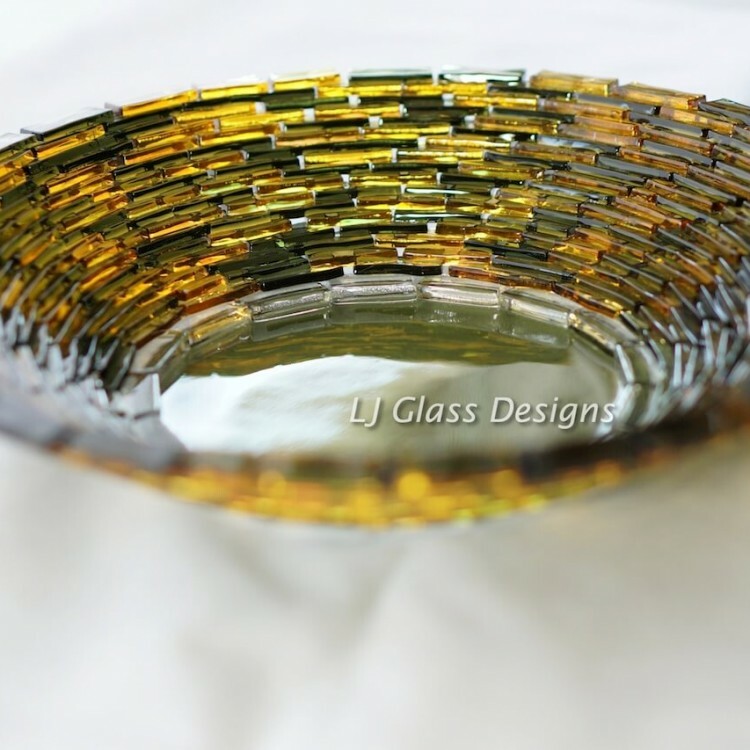 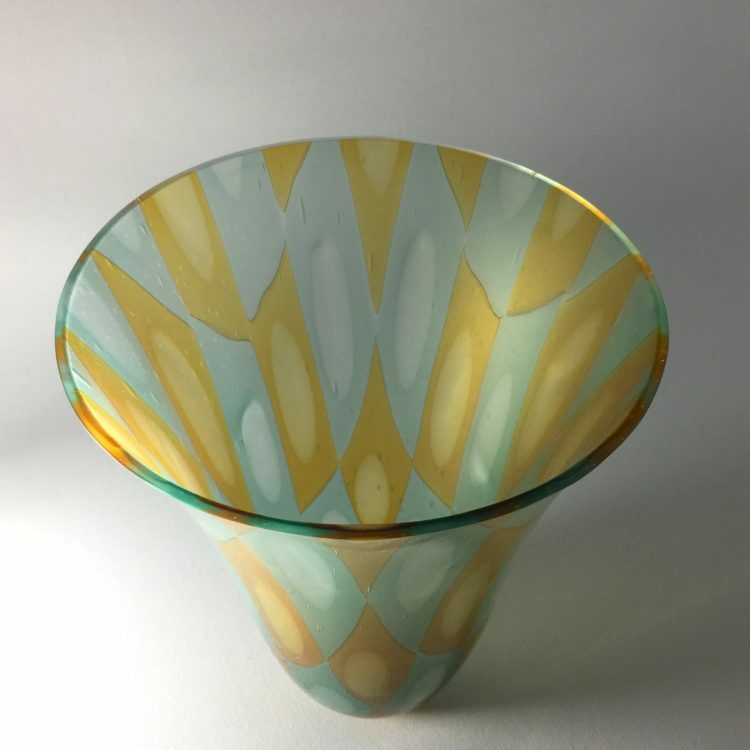 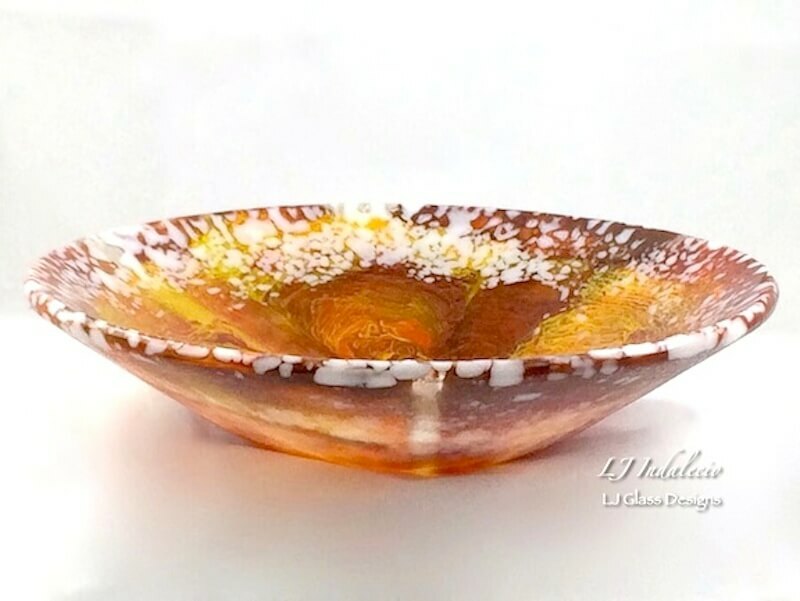 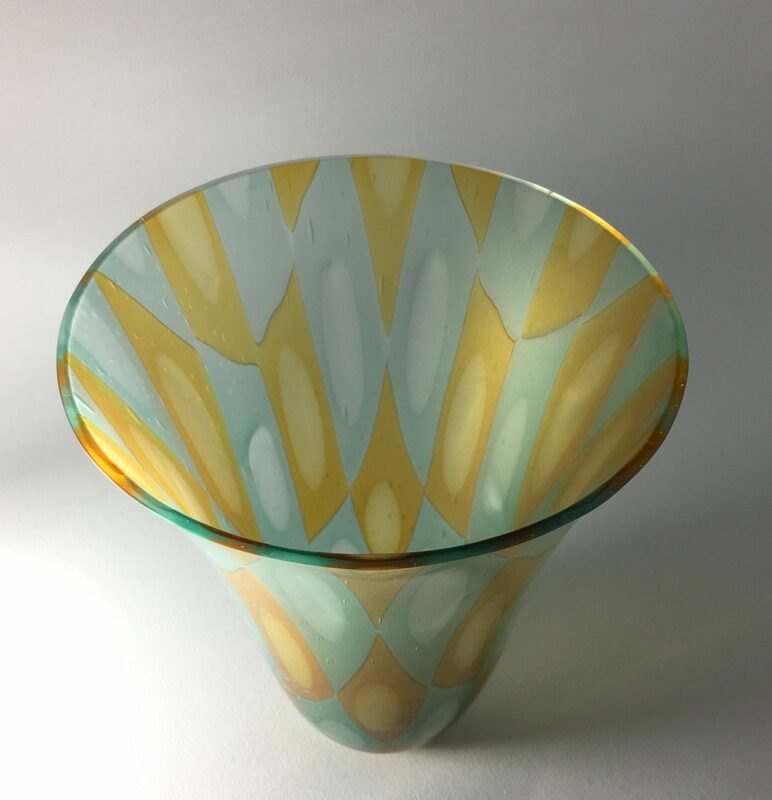 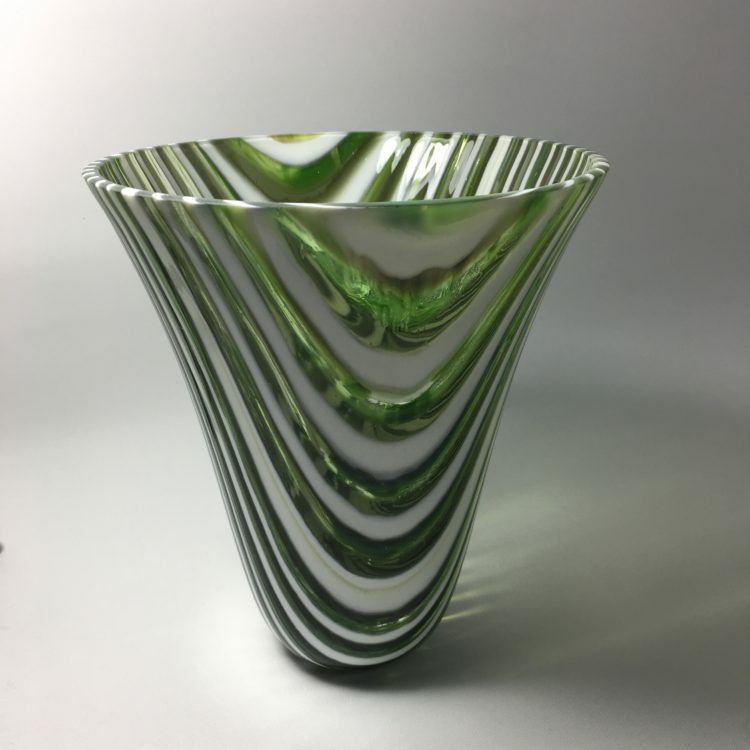 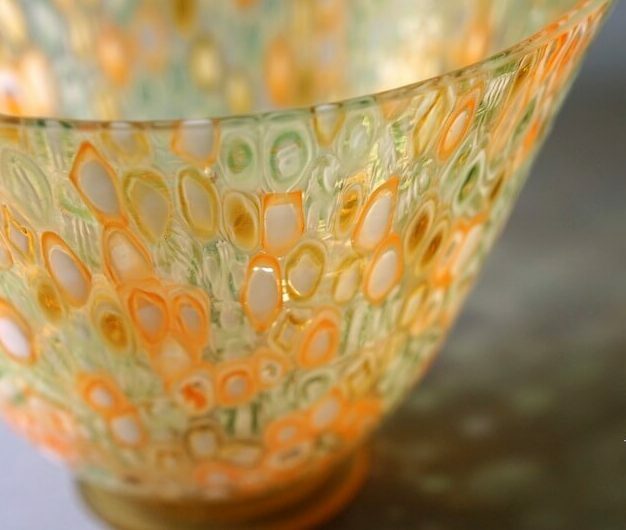 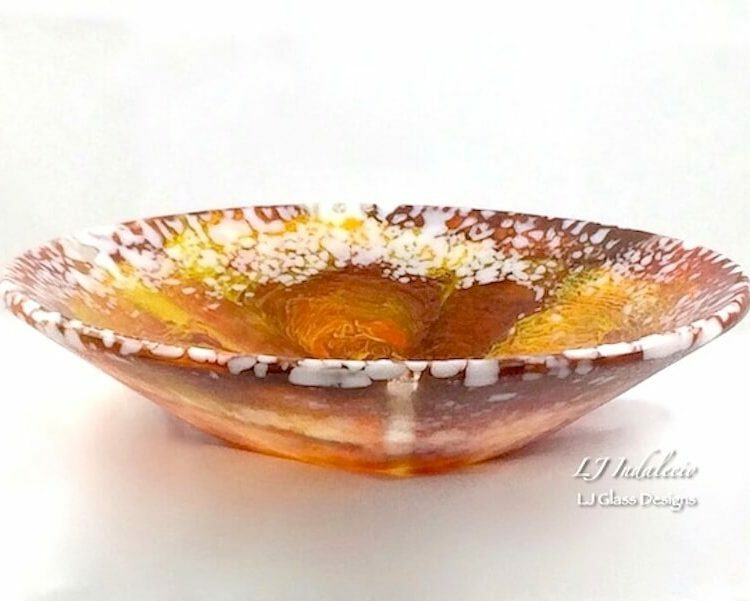 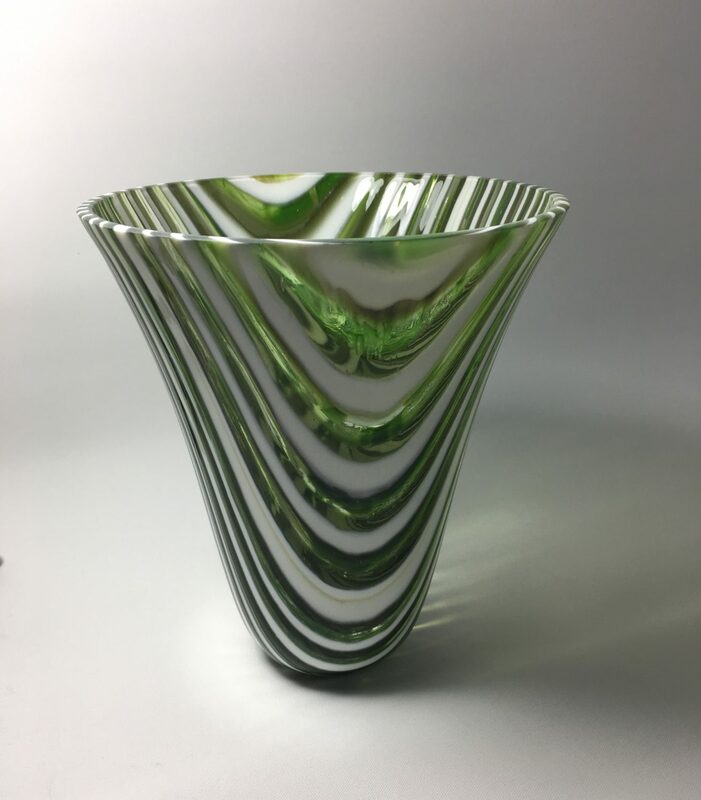 Much of her work requires the glass to be layered in several firings; using the intense heat of the kiln to allow the glass to flow, making each piece unique. 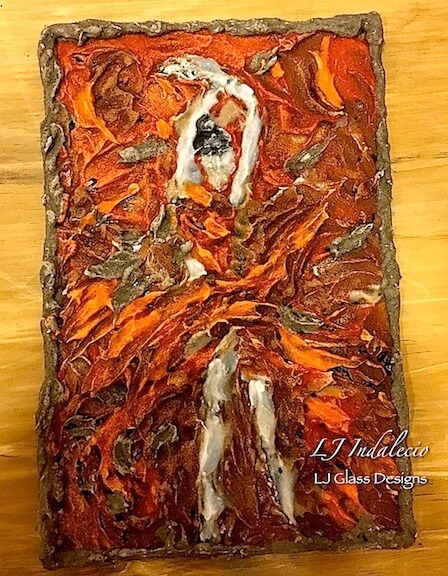 Linda enjoys experimenting with different techniques and is always finding new ways to challenge herself.